This companion brings together a team of contemporary theologians and writers to provide substantial introductions to the key people who shaped the Christian story and tradition. 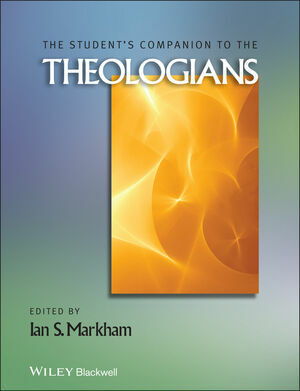 Ian S. Markham is the Dean and President of Virginia Theological Seminary. Awards include the Robertson Fellow 2006, Teape Lecturer in India 2004, Claggett Fellow attached to Washington National Cathedral in 2000, and Frank Woods Fellow at Trinity College, Melbourne in 1997. He is the author and editor of numerous books, including The Wiley-Blackwell Companion to the Anglican Communion (edited with J. Barney Hawkins IV, Justyn Terry & Leslie Nuñez Steffensen, 2013), Against Atheism: Why Dawkins, Hitchens, and Harris Are Fundamentally Wrong (2010), A World Religions Reader, 3rd edition (2009), Understanding Christian Doctrine (2007), and Do Morals Matter (2006), all published by Wiley-Blackwell.